"History is merely a list of surprises," I said. "It can only prepare us to be surprised yet again. Please write that down." --Kurt Vonnegut in Slapstick, or Lonesome No More! 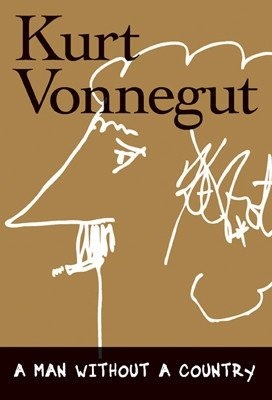 Once upon a time (the summer of 2005, to be precise, just two years before Vonnegut's death), a slender book with a provocative title--A Man Without a Country--gained what the publishing industry likes to call "traction." It was written by a great American author who had, long ago, penned the equally provocative line: "Practically nobody on Earth is an American." During the early 1970s, I, like thousands of others, "discovered" Vonnegut's Slaughterhouse-Five. I continued reading his books for many years until ("So it goes.") I stopped for a long time. A Man Without a Country brought me back into the fold, and I've been rereading him ever since--Breakfast of Champions, Cat's Cradle, Player Piano, Welcome to the Monkey House... and so on. In A Man Without a Country, Vonnegut recalls, mostly joking, that although he set his first novel, Player Piano, in Schenectady, N.Y., and wrote about General Electric, he was classified as a science fiction writer. Maybe we've always been wrong about him. Maybe he was writing nonfiction all along and we're only now catching up. Whatever the case, Beach Reads season is nearly over and Fall Election Reads Season is ramping up, so I'm out on the campaign trail for Vonnegut. Read anything; read everything, for the first time or the fifth. Consider the answer he once gave to a woman asking for his advice about bringing a child into this terrifying world: "I replied that what made being alive almost worthwhile for me, besides music, was all the saints I met, who could be anywhere. 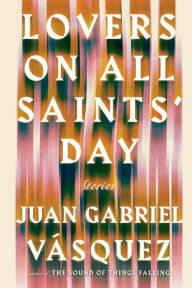 By saints I meant people who behaved decently in a strikingly indecent society." Bustle shared "writing advice from Neil Gaiman to help you finish writing your own bestseller." The headlines say it all: "Truman Capote's ashes go up for auction in L.A.," the Guardian reported. And from the Independent: "Beer to be made from yeast swabbed from Roald Dahl's writing chair." Quirk Books "managed to gather up enough energy to compile a list of literature's laziest characters. Now we need to take a nap." Author Alison Moore chose her "top 10 seaside novels" for the Guardian. Buzzfeed displayed "27 literary prints to hang in your home library." 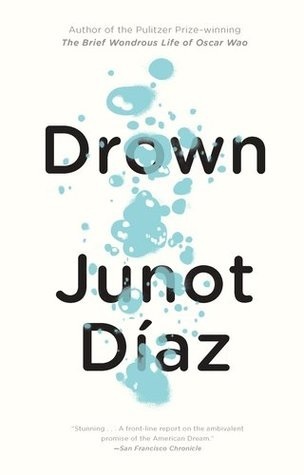 Dominican-American author Junot Díaz won the 2008 Pulitzer Prize for Fiction with his 2007 novel, The Brief Wondrous Life of Oscar Wao, was a finalist for the 2012 National Book Award for his second short story collection, This Is How You Lose Her, and won a MacArthur Genius Grant. His work reflects the Dominican-American immigrant experience, with frequent parallels to Díaz's own life growing up in the Dominican Republic and New Jersey. 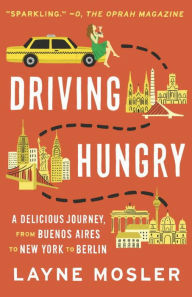 With the help of taxi drivers, a woman explores and enjoys the food of Buenos Aires, New York City and Berlin. But when drivers failed to recommend good places, Mosley became a taxi driver to find restaurants on her own, and discovered it was quite different to be behind the wheel in a huge city. Nagasaki is explicit and penetrating, a haunting and humane look at one of the most contentious acts of war in world history. Southard provides a vivid narrative of the impact the atomic bomb had on the people of Nagasaki, Japan, as experienced by five who survived the blast. Writer and performer Barry Yourgrau (Haunted Traveller) is the titular mess; his living space is only his worst symptom. Motivated by his girlfriend's ultimatum, he begins what would become a two-year project to clean out his apartment. 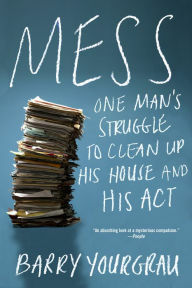 Mess is not a self-help book, but those who struggle with extreme clutter or know someone who does are likely to find fresh insights here. On August 29, 2005, Hurricane Katrina tore through the South, breaking the levees built to protect New Orleans, and leaving 80% of the city underwater. 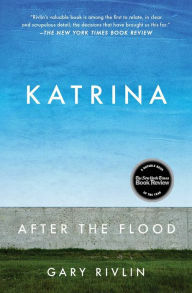 In Katrina: After the Flood, Gary Rivlin writes a riveting account of the disastrous results of the storm, starting from the preliminary evacuations to the present day. Characterized as a "low-performing school" by national testing standards, Mission High in San Francisco has faced stiff penalties. But when Kristina Rizga went behind the scenes for a magazine assignment, she found a vibrant, racially diverse community of passionate, skilled teachers and intellectually curious students. Seven unblinking stories from Colombian writer Juan Gabriel Vásquez consider the collision of fate and human hopes and dreams. They pivot around partners in fractured pairings, two lonely people sometimes splintered by the long shadow of a third, someone often off-stage. Lauren Holmes's debut collection explores a range of human connections. At times funny, at times crushingly sad, her book proves her to be a talented writer of fiction, asking readers to engage not only with who they are as individuals but also the world they live in together. 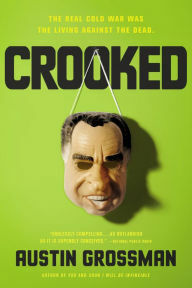 Crooked delves deep into the mind of none other than Richard Nixon, who makes a surprisingly hilarious and engaging protagonist. In Grossman's telling, Nixon becomes embroiled in something akin to an occult conspiracy pitting Americans and Soviets against each other in an ever-escalating supernatural war. Lady Georgiana Rannoch knows the perks and perils of being 35th in line to the English throne. But when she discovers the body of a young woman in the courtyard of Buckingham Palace, Georgie finds herself mixed up in yet another mystery that could turn into a royal scandal. 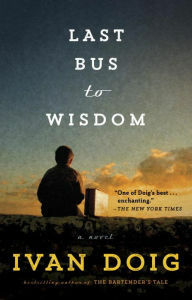 In Doig's final novel, Last Bus to Wisdom, Donal Cameron, 11-year-old, red-haired, word-loving Montanan, reluctantly boards a Greyhound for a summertime adventure. Fellow bus travelers boost his shot at a Guinness World Record autograph collection and distract him from fretting about the relatives in "Wiss-con-sun. Beatriz Williams continues the saga of the Schuyler sisters and their knack for uncovering secret histories as Pepper Schuyler meets a French widow whose past hides an epic love. Williams knows how to pour on the glamour--Parisian landmarks and luxury yachts feature prominently; her latest romance is a beautiful escape from everyday life. Anna Franklin is 16, terribly depressed and fixated on death when she meets a doomsday cult. LaPlante (Turn of Mind) masterfully weaves a distressing plot in which complex, sympathetic characters, each with a complete and absorbing past, are brought to the brink of destruction. Yeong-hye was an ordinary woman--a trait her husband appreciated--until she made the shocking decision to become a vegetarian. In South Korea, this is unusual and socially scandalous; her family reacts by railing and trying to force her to eat meat. The Vegetarian is disquieting, thought-provoking and precisely formed. W. Bruce Cameron introduced Ruddy McCann, former Michigan high school football star turned repo man, in his hilarious first mystery, The Midnight Plan of the Repo Man. Returning for a second installment in an equally side-splitting adventure, McCann no longer hears the voice of dead realtor Alan Lottner in his head. And he discovers he's lonely. In an effort to contact Alan and encourage him to return, McCann visits mediums. When he exits one's establishment, a young woman confronts him, claiming the catastrophic accident that changed his life years ago didn't actually happen the way everyone believed. Then she vanishes as quickly as she arrived, leaving McCann to investigate the incident that has haunted him his entire adult life. To augment the suspense and add chaos ("repo madness") to McCann's life, his employer dies, an apparent suicide; a spineless banker tries to hire McCann as a hit man; and Alan returns. This novel also resurrects the wonderfully wacky characters hanging out at the Black Bear, including linguistically creative Kermit, the bickering Wolfingers and Casanova Jimmy. Cameron keeps his protagonist on his toes and the readers completely entertained. Repo Madness is nonstop action with laughs on every page. Discover: Repo man Ruddy McCann accepted responsibility for a tragic accident years ago, but new evidence may prove he wasn't as guilty after all. Imagine being trapped in a coma, in a body that can neither perceive nor respond to touch, but which might feel and rely on the stimuli of "sound" for a connection to the outside. There is no bright light, no lucid dream, just the sickening desire to avoid the uncertain fate that a prolonged period of being "off" would entail--the declaration of death. This is what Prix Nouveau Talent Award-winning writer Clélie Avit has imagined in her tactile and vivid fiction debut, a sweetly narrated love story. An ice bridge collapses on a mountain climbing trip, and the anchor that secures Elsa to the lead climber fails, plunging her several hundred feet down to the hard snow. She has now been in a coma for five months, having regained her auditory sense only in the last six weeks. On her birthday, Elsa receives a visit from Thibault, a young man who is avoiding his brother, who is in the same hospital after a drunk driving accident resulting in the death of two teenage girls. Thibault initiates a one-sided conversation with Elsa that finishes with a kiss to her cheek. His uninhibited discourse excites Elsa, and Thibault returns over several weeks. He is beginning to fall for his silent companion, even as doctors are pressuring Elsa's parents to pull the plug. Discover: French writer Clélie Avit cleverly imagines the interior life of a comatose patient who has regained her auditory sense. "On the day he would first meet Thomas Edison, Paul watched a man burn alive in the sky above Broadway." With that opening line, Graham Moore (The Sherlockian) clearly establishes that The Last Days of Night, which details the protracted battles between Thomas Edison and George Westinghouse to electrify the United States in the late 19th century, is no dull scientific report. Paul Cravath is a Columbia Law prodigy who became partner at a law firm at the age of 26. Problem is, he has no clients. Imagine his surprise, then, when inventor Westinghouse handpicks Paul to defend him against Edison's lawsuits that claim Westinghouse's light bulbs infringe upon Edison's patent. Cravath devises clever strategies, including recruiting eccentric Serbian inventor Nikola Tesla to create a bulb for Westinghouse that would be completely different from Edison's. No matter how many brilliant moves Cravath comes up with, however, Edison is always one step ahead. When a disaster occurs that sets back Tesla, Cravath realizes that Edison will stop at nothing to squash his opponent, and Cravath could lose not only the case but his life, too. Discover: Graham Moore has written an electrifying historical thriller about the battles between Thomas Edison and George Westinghouse. At the outset of Shari Lapena's first novel, Anne and Marco Conti are enjoying a rare night out at a dinner party next door. Their babysitter canceled at the last minute, so the Contis have brought along their baby monitor and are taking turns every half-hour to go back to their place and check on six-month-old Cora. When the party wraps at one a.m., Anne and Marco return home to find their front door ajar--and Cora gone. Detective Rasbach arrives at the scene, and suspects the Contis know more about their child's disappearance than they're admitting. There's also tension between Marco and his father-in-law, and Anne's wealthy parents may have been the real targets for ransom. And what to make of the fact Anne can't remember what her own baby was wearing the last time she saw her? Rasbach is determined to get to the truth, even if everyone he encounters seems intent on hiding it from him. Discover: A detective investigating a baby's disappearance can't seem to get the whole truth from anyone, including the infant's parents. Alice Arlen and Michael J. Arlen's biography of Alicia Patterson tells the extraordinary story of an unconventional life. Patterson was a world traveler, a licensed transport pilot, a journalist and publisher of a Pulitzer Prize-winning newspaper, though she lived only until the age of 56. With their research, the authors show how many of Patterson's decisions in her early life appear guided by a desire to be close to her father, Joe Patterson, heir of a Chicago newspaper empire and founder of the New York Daily News. The two were similar in temperament, both curious and willing to push boundaries, which made Alicia Patterson's home and school life difficult. By 10th grade, she had been expelled from numerous boarding schools after showing no qualms about breaking school rules. Attempts to settle her down included her father bringing her to New York and giving her a job running errands at one of his newspapers and her mother pushing for her to marry a childhood friend. Patterson would have three marriages in her life, the first two arranged by her parents. Discover: The Huntress is an entertaining biography of Alicia Patterson, a woman who lived a life rich with pursuits that defied convention and societal expectations. C. Nicole Mason (Me First) is "both the subject and the authority on the matter" of poverty as a black woman who grew up poor in Los Angeles and got a full scholarship to Howard University. A common view of the poor is that they are "lazy, infantile, morally corrupt, and in need of direction and supervision"; individual responsibility is what will save them. But for most people born into poverty, escaping it "is like winning the lottery." Mason is now a poverty scholar and advocate. "I am a winner no matter which side of the aisle you occupy. Yet I do not feel like a winner." She spent years wondering how she managed to get out when her equally gifted and industrious peers did not. Her intimate memories and scholarly expertise illuminate and empower this vivid memoir. Discover: A poverty scholar and advocate remembers growing up poor in Los Angeles. Like his reflections about the screw and screwdriver (One Good Turn) and meditations on building a house (The Most Beautiful House in the World), Witold Rybczynski's Now I Sit Me Down is as much a personal journey through the culture and art of chairs as it is about their history, design and manufacture. Both breezy and informative, the architecture professor takes readers along as he and his wife buy their first set of dining chairs, and serves as guide through short biographies of furniture heavyweights like Chippendale, Thonet, Eames and Aalto. Before he gets going, however, he observes, "The world is divided into people who sit on the floor and those who sit on chairs." This divide is not easily bridged: "A chair in a room of floor-sitters is a rude intruder.... Sitting on the floor among chair-sitters disrupts the order of things, which is probably why teenagers like to do it." The chair is a symbol. The throne is power. "Getting the chair" means execution. A plebian male is known by his La-Z-Boy while his uptown counterpart shows off his Eames chair and ottoman. An academic leader is "The Chair." Rybczynski explores dozens of famous chairs like the Windsor, Boston Rocker, Adirondack and Aeron ("the hubris of the dot-com bubble"), the "downright homely" aluminum/nylon-webbed lawn chair and the umbrella baby stroller ("as functional as a fighter-plane undercarriage"). Now I Sit Me Down is really about human nature where "there is nothing natural about sitting on chairs." As he summarizes: "Every chair represents a struggle to resolve the conflict between gravity and the human anatomy." Rybczynski is a treasure. --Bruce Jacobs, founding partner, Watermark Books & Cafe, Wichita, Kan. Discover: With wit, scholarship and perspective, Witold Rybczynski's history of chairs and how we use them is a pure delight. Witches have haunted American psyches since before there was a United States. In American Witches: A Broomstick Tour Through Four Centuries, Susan Fair recounts key stories in this haunting, from the first witches "brought over" by colonists, to the modern-day Blair Witch phenomenon. As the title suggests, Fair's tour is often wry, occasionally verging on sarcastic, but she balances humor directed at the absurdities in these superstitions with sympathy for the many, many victims caught in the thrall of preternatural fears. "For most accused witches, the only words of theirs that survive are the curses they supposedly sputtered at neighbors they had had a disagreement with, or their courtroom denials as transcribed by the prosecutors." Fair gives meaningful voice to these victims, but uses levity to make the grim subject of their suffering endurable for the reader. Of particular note is the section on witchcraft from the American Indian perspective. Many tribes had their own stories of witchcraft and devilry and, as they Christianized, adopted those of the European missionaries proselytizing among them. Often, Indian legends targeted those very European colonists, blaming them for disease and hardship. Also noteworthy, and almost incomprehensible, is the fact that many people believe that the movie The Blair Witch Project is a documentary and visit Burkittsville, Md., to encounter the witch. American Witches is a fine, fun exploration of the witchcraft craze. --Evan M. Anderson, collection development librarian, Kirkendall Public Library, Ankeny, Iowa. Discover: American Witches is a delightful and thoughtful adventure into one of the darker superstitions that has plagued the country for centuries. Few journalists are as conversant with the frightening post-9/11 world than the New Yorker's Lawrence Wright (The Looming Tower). In The Terror Years, a collection of 11 pieces from the magazine, Wright displays equally incisive investigative skills and comprehensive reportage to describe the West's fight against terrorism, the intractable conflict in the Middle East and the rise of al-Qaeda's even more ruthless progeny, ISIS. The collection's most poignant story is "Five Hostages," recounting the desperate, private efforts led by David Bradley, publisher of the Atlantic, to save Kayla Mueller and four other kidnapped journalists and activists. The beheadings of Mueller and three other hostages by ISIS in 2014 and 2015 first exposed most of the world to the depravity of that organization, "a proto-state that uses terror not just to conquer but to rule." But as Wright reveals in "The Rebellion Within," some former terrorists in Egypt, including one who provided the original intellectual underpinning for al-Qaeda's activities, have begun to question the wisdom of these barbaric tactics and the use of violence in general to achieve the movement's goals. Discover: Lawrence Wright offers a well-informed perspective on the fight against terrorism and the conflict in the Middle East. Leigh Calvez had studied orca and humpback whales, spirit bears and brown bears, before owls crossed her line of sight. The Hidden Lives of Owls: The Science and Spirit of Nature's Most Elusive Birds is the story of the time she spent pursuing the owls of the Pacific Northwest, where she lives. Calvez meets with citizen scientists and professional researchers, and travels through Alaska, Montana, Washington and Oregon in her quest to spot and, more significantly, to understand a range of species. In a wondering tone, she considers the hard science and spiritual connections of Flammulated, Snowy, Great Horned, Great Gray, Burrowing and the controversial Barred Owls--which have thrived in the Pacific Northwest at the expense of other owls. Calvez shares some of the fascinating particulars of owl biology: specialized feathers that support silent flight; asynchronous hatching and fledging schedules; reversed sexual size dimorphism (females are larger than males in most owl species). She investigates the environmental threats to these birds, and she sympathizes with mothers forced to choose between the safety of their babies and their own. Discover: This enthusiastic study of the owls of the Pacific Northwest may inspire new fans and citizen scientists. Jackie decides to rename her best friend. "Tink" (short for tiny Tinker Bell) no longer fits the tall sixth-grader who is, embarrassingly, "getting a figure." Two weeks into the school year, her classmates still aren't catching on to her new nickname, "Chris," short for her real name, Christine Bernadette Gouda. She may just be stuck with Tink--or her other nickname, "Hundred Percent"--which refers to the fat content of Gouda cheese. Identity is serious business in sixth grade, and Karen Romano Young (Doodlebug) captures that with uncanny accuracy in Hundred Percent, the story of two "boy-crazy" best friends trying to navigate who they are, what they wear, who they like, who likes them, and who is ready for what, be it first bra or kiss. 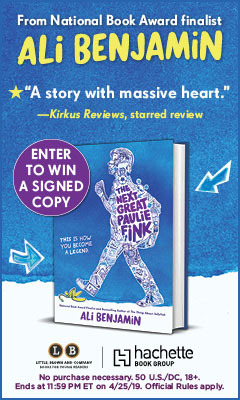 Indeed, what distinguishes this engaging novel is the terrific dialogue and the way Young mirrors the seemingly small moments that loom large: a snub; being barked at or whistled at by boys; a Halloween costume gone awry ("Try it sometime. Dress as a big old realistic grown-up when your cute little friend is being something even more cute and little and totally unrealistic"). Discover: A "tall girl" struggles to remain best friends with "cute little" Jackie through the trials of sixth grade. Lygia Day Peñaflor, an academic tutor for Hollywood "showbiz kids," gives readers a peek at life as a child actor in Unscripted Joss Byrd, her emotive, gritty debut starring a vulnerable young thespian, "the next Tatum O'Neal." At 12, Joss Byrd reigns as one of Hollywood's darlings, but inside she knows she's just a "dirt-driveway kid" from Pennsylvania with a "hole in our bank account where there used to be my movie money" after her mother/manager, Viva, blew her earnings on a bad business plan. Critics rave about Joss's performances, but every day on set in Long Island's Montauk is a struggle for her, as she strives for infrequent morsels of approval from Viva and lives in fear that someone will notice her dyslexia. Her latest role as her director's sexually abused kid sister in the biopic of his own childhood has Joss overwhelmed. Frequent script changes, a crush on her 14-year-old movie brother, Chris, and scary run-ins with the Method actor playing her "pervy stepdad" leave Joss unmoored. When her mother has an affair with her director and agrees that her daughter will perform scenes dealing more intimately with abuse than her contract stipulated, Joss finds some support from the director's real sister, who disapproves of the film. Ultimately, though, Joss must use her own wits and grit to stand up to the adults who have power over her. Peñaflor's on-set moments spark with insider accuracy, but the book's true strength lies in Joss's sensitive, engrossing voice, which sings with frustration, fear and hope. Despite her young age, the adult situations she faces will give the young teen set plenty to digest. --Jaclyn Fulwood, lead librarian at Del City Public Library, Okla. Discover: In this YA novel, Joss Byrd is America's darling, a child actress faced with the struggles of an industry that worships and abuses youth in equal measure. Can't a purple, furry, bean-shaped fellow ride his bicycle in peace without school buses of kids screaming in fright and people calling him... a monster? He's serious: "It really hurts my feelings. I'm no monster!" His horns, wild eyes, "clompy feet," fangs, long toenails and "huge, toothy smile that glows in the dark" should not justify such boorish name-calling. He says he shouldn't be called a monster just because he might happen to be under the bed, or "Just because I roar./ And scream./ And holler./ And whoop./ And cackle./ And howl at the moon./ And howl at the sun." This poor purple soul can't even shop for groceries, scrutinizing the cereal-box ingredients with his pink reading glasses, without some kid yelling for his mommy. How rude. It's not like he goes around calling children "little meat snack" or anything. His name is Floyd Peterson, and people should call him that. Discover: In Jory John and Bob Shea's picture book, a horned, fanged, purple-furred creature named Floyd Peterson is upset that people keep calling him a monster.